A Pennsylvania man is suing a Millvale police officer for laughing along with other officers and paramedics as she repeatedly used a stun gun on him while he was handcuffed. Thomas Jason James Smith, then 27, was arrested on Sept. 21, 2012, for public drunkenness. Video of the arrest was taken with a cell phone and later leaked to Pittsburgh-area media outlets. 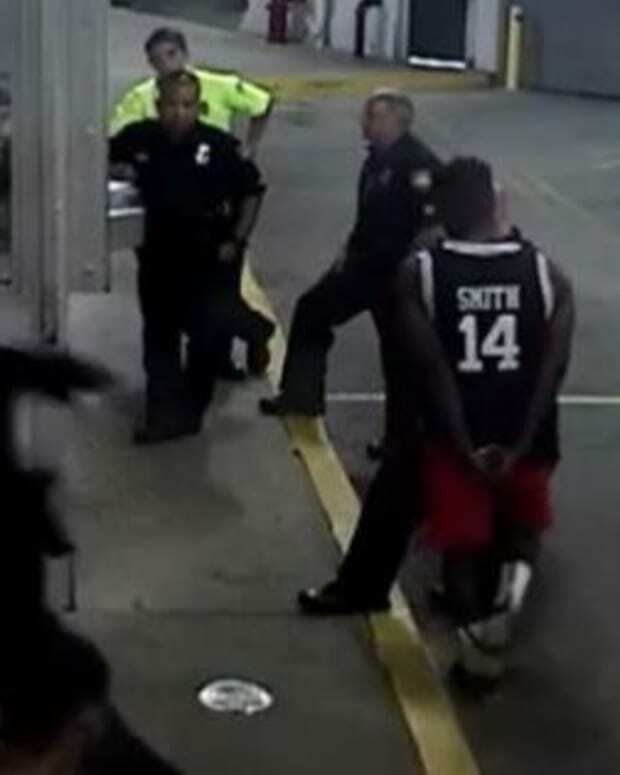 The footage shows Smith sitting on the floor of the police station, handcuffed and shirtless. In the video, Smith rocks back and forth and hits his head several times on an office cubicle. 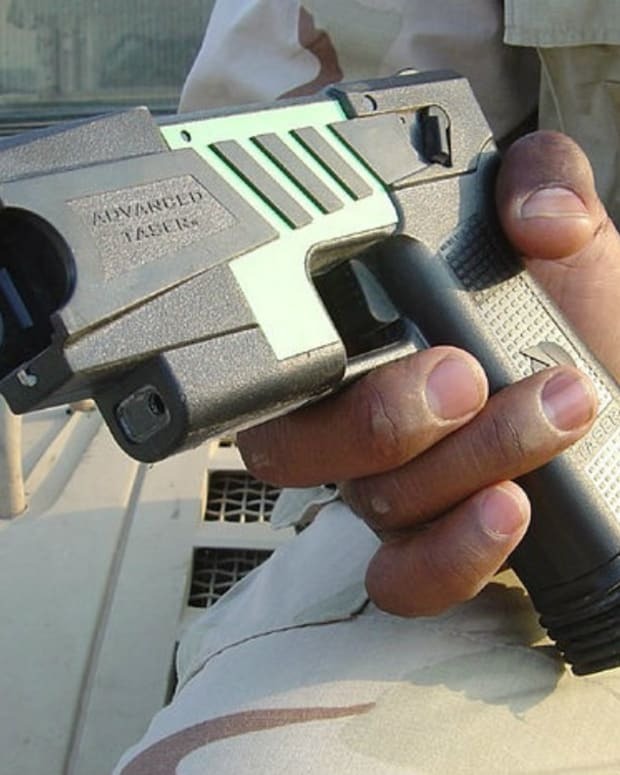 Then he is Tasered several times by two police officers. Smith filed a federal lawsuit against Officer Nichole Murphy, Chief Derek Miller, and the borough of Millvale. His attorney, David Shrager, says it&apos;s unclear who filmed the incident, but he believes the officer went too far. He says his client suffers from mental illness. Smith said he doesn’t remember much of the arrest and that he was surprised when he saw the video. 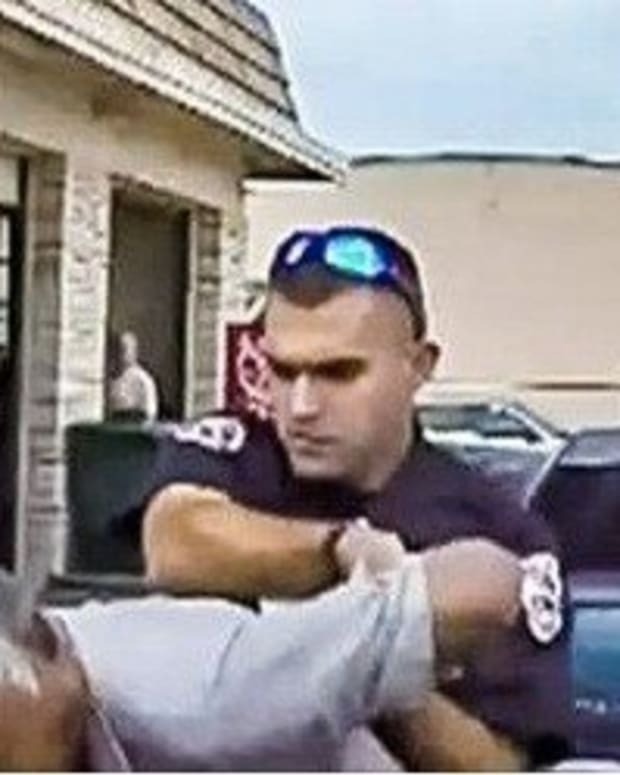 In the lawsuit, Smith claims Officer Murphy had been fired for unspecified “conduct similar to that which is the subject of this complaint” and was later rehired before the stun-gun incident. Smith seeks more than $75,000 in damages. “At no time was he a danger to anyone besides himself,” the lawsuit says. The incident is still under review by the Allegheny County District Attorney’s office.